Is the United States today a “postracial” society? Some might point to the election and reelection of an African American president as conclusive evidence of the progress made in race relations, but others look at current events and lingering divisions and reach much different conclusions. 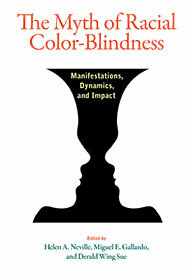 In this volume, top scholars in psychology, education, sociology, and related fields dissect the concept of color-blind racial ideology (CBRI), the widely held belief that skin color does not affect interpersonal interactions and that interpersonal and institutional racism therefore no longer exists in American society. 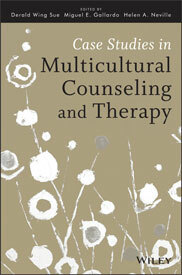 Designed for use in multicultural counseling courses, graduate-level practicum, or as part of a counseling techniques course, Case Studies in Multicultural Counseling and Therapy provides students with the opportunity to think critically and learn how to incorporate and apply multicultural skills and competencies in a treatment setting. This book features case studies from leading scholars and practitioners in the field and is written from both the perspective of the therapist/counselor and the client/consumer. Follow this PDF link for more information and to order your copy. 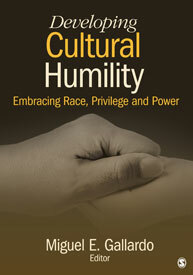 This video series demonstrates how to generate more authentic and genuine multicultural dialogues and relationships and is an outgrowth to Dr. Gallardo’s book Developing Culturally Humility: Embracing Race, Privilege, and Power. The videos contain dialogues between “white” psychologists and psychologists who represent historically devalued communities. They discuss their personal and professional journeys and their ongoing goal of centralizing multicultural and social justice issues. The video series instructs viewers how to better situate themselves in difficult dialogues, particularly at times when they might feel offended, don’t feel like they belong in the conversation, or simply do not have the energy to continue. These dialogues inform viewers how to think about enhancing their capacity to engage while creating more genuine and authentic multicultural relationships. The videos serve as a useful tool for professional development workshops, classroom discussions, and in professional consultations. This casebook provides demonstrations of Evidence-Based Practice in Psychology (EBPP) with diverse clientele, focusing on multiple dimensions and intersections of identity and diversity. 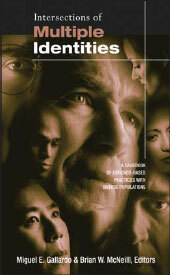 The integration of research and clinical expertise described in this volume allows the reader to examine, conceptualize and treat the multiple ways individuals identify themselves (ethnicity/race, religion/spirituality, disability, and sexual orientation). Each chapter is written by experts who illustrate their work in therapeutic encounters from an EBPP perspective, addressing various expressions of diversity in a culturally responsive manner. Follow this PDF link for more information. Dr. Gallardo was interviewed by Talaya Trigueros for Hispanic Heritage Month. Please click here for the interview. He was also interviewed for his thoughts on the DREAM Deferred: The Psychological Repercussions of Uncertain Futures. Please Click here for links to the interviews. In case you missed it, you can find Dr. Gallardo’s podcast with APAGS members by clicking here.